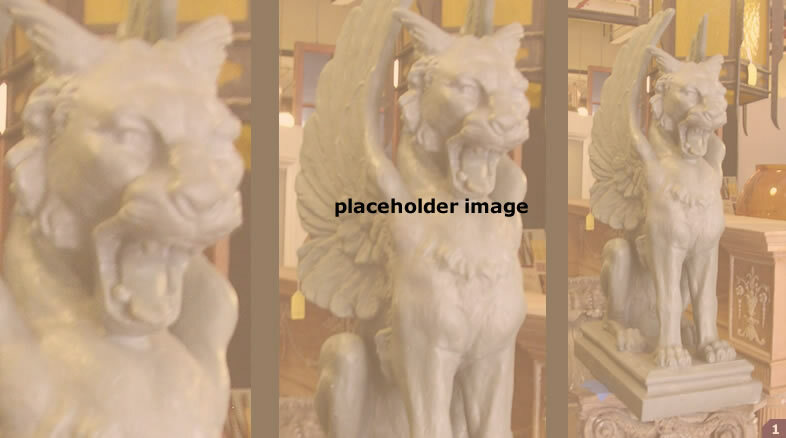 Restoration Resources - New England's Primary Source for Authentic Architectural Antiques. Recent Finds. We found this gargoyle in the northwestern suburbs of Boston. It's made of pure marble. Click anywhere to close window. Stained Glass recovered from 1920's house. Dates back to the 1800's. Great shape. Click anywhere to close window. Stair railing with spiral posts. Made of cherry and painted white. Click anywhere to close window. Something old that we have turned into something new! Reuse, repurpose, recycle.